For many travellers, the appeal of visiting a new country lies less in the museums and restaurants, and more in the great outdoors. The beautiful country of Spain has no shortage of exhilarating opportunities for the adventure lovers out there, whether you prefer your adventures to be on wheels, on feet, or on the water! 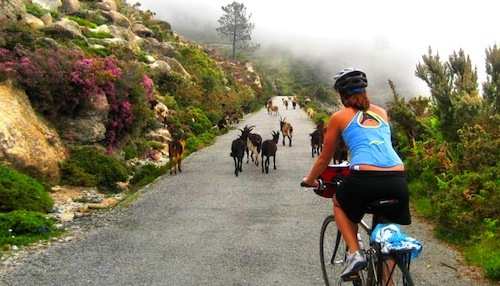 Biking is one of the most popular outdoor activities to do in Spain, and there are many ways to do it. You can, of course, rent a bike and explore the cities on your own. However, if you’re looking into a more extensive cycling adventure, it’s best to get in touch with a reputable bike tour operator, which can set you up with an itinerary, accommodations, and luggage delivery. 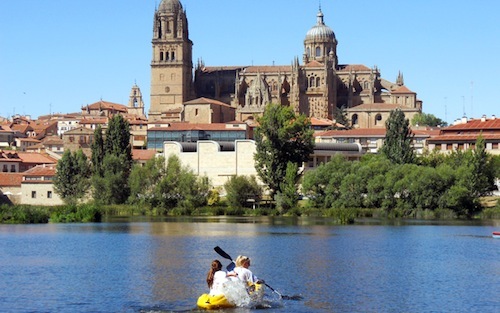 Bike Spain offers both guided tours and self-guided tours; if you’re looking for a guided tour close to the cities, try the Madrid/Center of Spain tour, a 7 day adventure that offers riders the chance to see landmarks such as the Monastery of El Paular, the Aqueduct of Segovia, and the twisting alleys of Toledo. Fans of mountain biking should head to Sierra Nevada, where riders can spend days pedaling through the hills. Companies such as Ride Sierra Nevada (located in the Andalucian mountain village of Monachil) and Pure Mountains (in Granada) will set you up with everything you need to explore Spain’s biggest mountain range. Spain is a true paradise for hikers. The landscape is calm and diverse, and the climate is pleasant year-round. Spain offers everything from short walks to long-distance treks. Perhaps one of the more popular routes is the Way of St. James (also known as “el Camino de Santiago”), a pilgrimage route that leads to the Cathedral of Santiago de Compostela in Galicia, where tradition says that the remains of the apostle James are buried. This is a very extensive walk, lasting weeks or even months, and there are many different starting points. If you’re looking for something less intense, consider a hike along the Mediterranean coast; Andalusia offers beautiful routes near the beach. 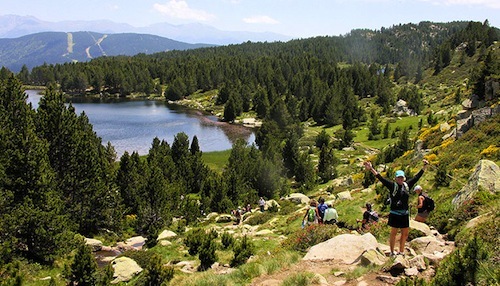 There are also many terrific tour companies that offer some fascinating hikes with a historical twist; Spanish Trails has a great day trip that brings you to a 16th century mountain village in the mid-Pyrenees. Many of Spain’s breath-taking views can be enjoyed from the water. Galicia is a good setting for water-based adventures, offering plenty of kayaking and rafting opportunities. The Miño River is famous among white-water rafters, though it does have parts that are perfect for beginners. The Pyrenees region also has great white-water rafting, and companies such as Paddle in Spain run organized outings for rafters of all levels. If you’d like a more leisurely activity, consider sea kayaking. With nearly 8000km of coastline, Spain has many cliffs and coves to explore by kayak. Most seaside towns offer kayak rentals if you wish to go out and explore on your own, and there are also adventure companies that run guided excursions. Menorca is a lovely place to kayak, providing stunning views of rugged coastlines. Whichever activity (or activities!) you choose to enjoy in Spain, make sure the company you participate with is a safe and reputable company; ask around, and do your research. It is also advised that anyone who plans on participating in physical activities while travelling purchase international travel insurance; while no one plans on getting injured while on vacation, it’s always better to be prepared should something happen. Once you’ve covered all your bases, then you’re free to set out on your adventure! Steve Albini or Poker Player?